St. Petersburg is the second largest city in Russia, its cultural, educational and religious center. The city was founded in 1703 by Peter I as a "window to Europe", and the new capital of the Russian Empire. Throughout its history, St. Petersburg was a link in the diplomatic and economic relations between Russia and the European countries. 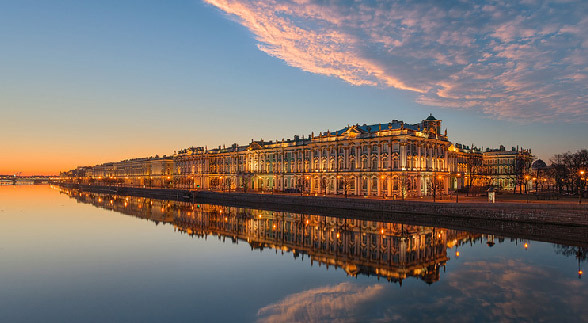 Petersburg is one of the most beautiful and popular city among the tourists in the world. There are more than 200 museums and art galleries, more than 100 theaters and concert stages, famous parks and architectural ensembles in St. Petersburg. Every year in the city major international festivals, film forums, concerts of classical, pop and rock music are held. 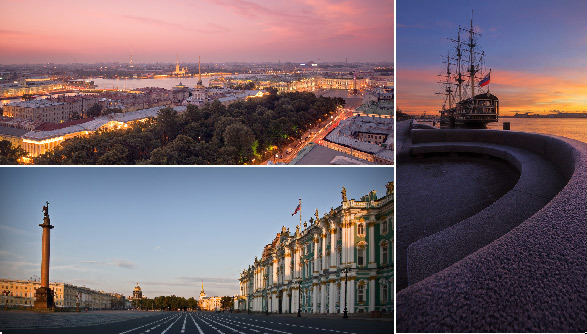 Unique architectural appearance of St. Petersburg was created by the famous Russian and European architects during the three centuries. In the city Trezini, Kvarengi, Rastrelli, Montferrand, Rossi, Stasov, Voronihin and many others created their masterpieces. Petersburg is decorated with famous monuments such as the Peter and Paul Fortress, the Winter Palace, St. Isaac's and Kazan Cathedrals, the Stock Exchange building. 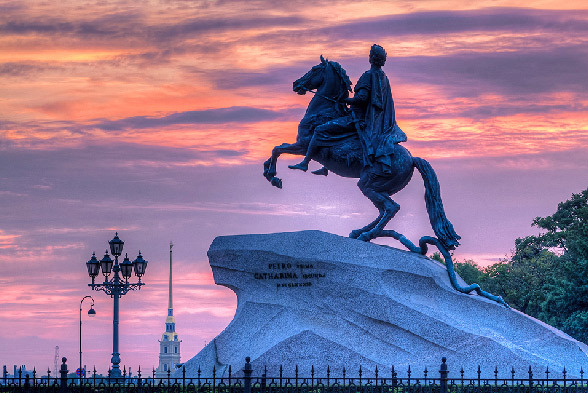 The famous "Bronze Horseman", a monument to the founder of the city - Peter the Great. is considered to be one of the symbols of St. Petersburg. St. Petersburg is also a large international sports center. Sports competitions, including the European and World Championships, are regularly held in the city. In St. Petersburg, table tennis is one of the most popular sports. Several thousands of professional athletes and hundreds of thousands of ordinary enthusiasts are engaged in this sport.